Salts can free up other pollutants, too. In his own house near Washington, D.C., Kaushal once had black water coming from the tap. “The salts in the water were leaching manganese — a neurotoxin — from the old pipes in the neighborhood,” he says. Time to invest in companies that do desalination. Deep snowpacks that held fast through winter, then melted in a torrent each spring, are instead seeping away earlier in the year. The period of winter weather is shrinking, too, with autumn lasting longer and spring starting earlier. His results were published this month in the Journal of Applied Meteorology and Climatology, and presented at the American Geophysical Union Fall Meeting in Washington, D.C.
Like fruit, vegetables, and almonds? Scientists have bad news. So far, this winter has brought ample snows to the Sierra Nevada, the spine of mountains that runs along California’s eastern flank. That’s good news for Californians, because the range’s melted snow provides 60 percent of the state’s water supply. Anyone in the United States who likes fruit, vegetables, and nuts should rejoice, too, because water flowing from the Sierra’s streams and rivers is the main irrigation source for farms in the arid Central Valley, which churns out nearly a quarter of the food consumed here. But the Sierra snowpack has shown an overall declining trend for decades—most dramatically during the great California drought of 2012-2016—and will dwindle further over the next several decades, a growing body of research suggests. In the latest, published in the peer-reviewed Geophysical Research Letters journal, Lawrence Berkeley National Laboratory researchers lay out what they call a “future of consistent low-to-no snowpack.” In other words, a new normal wherein the robust snowpack developing this year would be an almost unthinkable anomaly. To get a picture of what water planners can expect in the coming decades, the team focused on the headwaters feeding 10 major reservoirs designed to capture snowmelt from the Sierra each year. Using averages from 1985 to 2005 as a baseline, they applied nine different climate models. They assumed global greenhouse gas emissions would continue rising at present rates —that is, a “business as usual” scenario with no effective global deal to cut greenhouse emissions and no major technological breakthroughs. The results: By mid-century (2039–2059), the average annual snowpack will fall by 54.4 percent compared to the late-20th century baseline. By the time today’s teens are in their 70s, it will be 79.3 percent beneath the old standard. To analyze massive amounts of water, planners think in acre-feet—the amount needed to submerge an acre of land by one foot. At the end of the last century, the Sierra Nevada captured an average of 8.76 million acre-feet. By mid-century, they project, the average will fall to 4 million acre-feet; and by century’s end, 1.81 million acre-feet. The Central Valley Project—a federally run network of dams, reservoirs, and canals that waters about a third California’s irrigated farmland and provides water and electricity to millions of urban users, all from snow melt—could become a what economists called a “stranded asset” in such a scenario: a multi-billion dollar public investment that lacks sufficient water to perform its tasks. What think ye, Fogbow Floridians? DeSantis said he will seek $2.5 billion over the next four years for Everglades restoration and water resources. The order not only touches on algae problems, but rising sea levels and the ongoing battle with Georgia over water diverted for Atlanta's use instead of flowing downstream to Apalachicola Bay. The reduction of fresh water entering the bay has hurt the region's oyster industry. He didn't say where the money would come from, and his office didn't immediately respond when asked about the funding. Late in the day, DeSantis demanded the resignations of all nine members of the South Florida Water Management District, which oversees the Everglades area. The board in November extended a lease with sugar farmers for land needed for a reservoir that is key to water purification efforts, angering DeSantis. While critics often said DeSantis' predecessor, U.S. Sen. Rick Scott, ignored science and rising sea levels, DeSantis addressed it on his second full day in office. He is creating an Office of Resiliency tasked with protecting coastal communities and wildlife from sea level rise. The Trump administration will not set a drinking water limit for two toxic chemicals that are contaminating millions of Americans' tap water, two sources familiar with the forthcoming decision told POLITICO. The expected move is yet another sign of the administration's reluctance to aggressively deal with the chemicals, which have been used for decades in products such as Teflon-coated cookware and military firefighting foam and are present in the bloodstreams of an estimated 98 percent of Americans. And it comes less than a year after the White House and the Environmental Protection Agency faced criticism for delaying publication of a health study on the chemicals, which a White House aide had warned could trigger a "public relations nightmare." 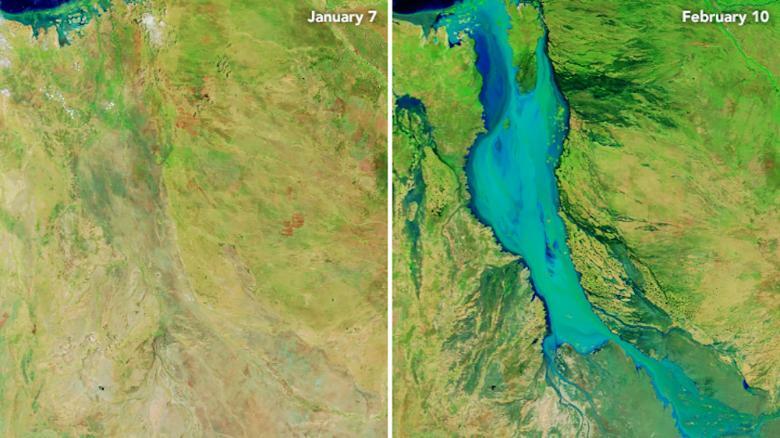 It's a river unlike any in Australia — and a fortnight ago it barely existed. In northern Queensland, record rain has created an instant "mega river" so immense it can be clearly seen on satellite imagery. In parts, the Flinders River is now so swollen with floodwater it's expanded to a width of 60 kilometres from bank to sodden bank, news.com.au reports. On Wednesday, the Bureau of Meteorology said the Flinders "is currently experiencing its most significant flood in at least the last 50 years". Sorry for the late reply. I just read this. I'm not an expert on the water but a friend, a water captain who makes his living ferrying tourists from island to island, is. He's been very involved with other captains and fishing boats working together to get something done around here. Although not a fan of deSantis, he likes what he's hearing. What remains to be seen is if deSantis follows through. Atlantic City, the once-proud gambling and resort destination, is treading water. In 2017, it was one of three U.S. cities that experienced the most record flooding from high tides, according to a June report from the National Oceanic and Atmospheric Administration. That distinction isn’t just a warning shot, signaling a problem the town can still avoid. A certain amount of sea-level rise is locked in no matter what we do. And as the effects become more and more immediate, cities on the East Coast are reckoning with how to adapt. Less than 200 miles away, the Maryland capital of Annapolis is in a similarly sinking boat. A recent study published in Science Advances quantifies just how bad sea-level rise can be for the local economy. Stanford University researchers found that eight flood-affected businesses in downtown Annapolis missed out on 3,000 visits in 2017 — putting losses somewhere between $86,000 and $172,000. It’s easy to imagine sea level rise as a slow creep, threatening to swallow cities whole over many, many years. But the waters aren’t that tranquil. When storms happen, or a high tide washes in, things flood — and the water might not be coming from the shore, tsunami-style. It can surge up from storm drains and gutters, as Nancy McPherson, the manager at the Annapolis Marine Art Gallery, told the Guardian. Time to study the Netherlands solution against their low lying country side being inundated too much. Since most of the Netherlands lies close to sea level, it is no surprise that they have a billion dollar sea wall protecting their land. The Netherlands is renowned for floods, which is no surprise since half of the country lies just one meter above sea level, and over the eighth lying below sea level. The Netherlands has an extensive flood history dating back hundreds of years with hundreds of thousands of deaths resulting from massive storm surges that decimate any land, houses, or people that get in the way. One of the worst surges occurred in Holland, in the year 1530 on November 5th when a massive storm created a surge that demolished the small storm surge barrier, swept away the dams, and ruined the dikes, killing upwards of 100,000 people. Given the natural landscape, the Dutch government always tried to find solutions that would help location population. They managed to do so by building special canal systems, ditches, windmills, dams and so on. Today, these magnificent constructions make a difference between life and death in numerous areas of the country. The main problem is that good part of the Netherlands sits below sea-level. Any major fluctuation in the sea depth will cause extensive flooding to a vast amount of land. The Dutch combat this issue by constructing dikes, effectively raising the height of the river ridges to allow greater variations in the river and sea depth (see pictures below). However, high banks cause more water to accumulate, which slowly erodes the dikes or overflows during surges, releasing immense amounts of water over the edge- once again wreaking havoc on the Netherlands. The Dutch utilized massive windmills to pump water out of the channels, directing the water back into the ocean. These solutions lasted for many years, helping disperse surges and keeping mortality rates low. However, the solution was not permanent and the government had to search for something new. The site, an initiative of the Delta Works Online Foundation, is one of the biggest and most complete online resources of information about the Delta Works and water management in the Netherlands. The deltaworks are viewable in many ways on our website. Through the use of photographs, animations, audio, video and virtual tours we try to give you a complete picture of the enormous scale of all the different works. The site is ideal as a resource for your thesis, or to show your family and friends (possibly abroad) this small marvel of Dutch Water Engineering. Apart from informaiton on the North Sea flood of 1953, the building of the deltaworks and water management in the Netherlands, the site also covers related topics. These topics elaborate on the relation between water management, nature and recreation. Since 2004 we have worked very hard on DeltaWorks Online. Over 40 volunteers, students and professionals have helped with the construction of our own small deltawork. Thanks to their support our current website covers over 1400+ pages illustrated with over 2000+ multimedia items. 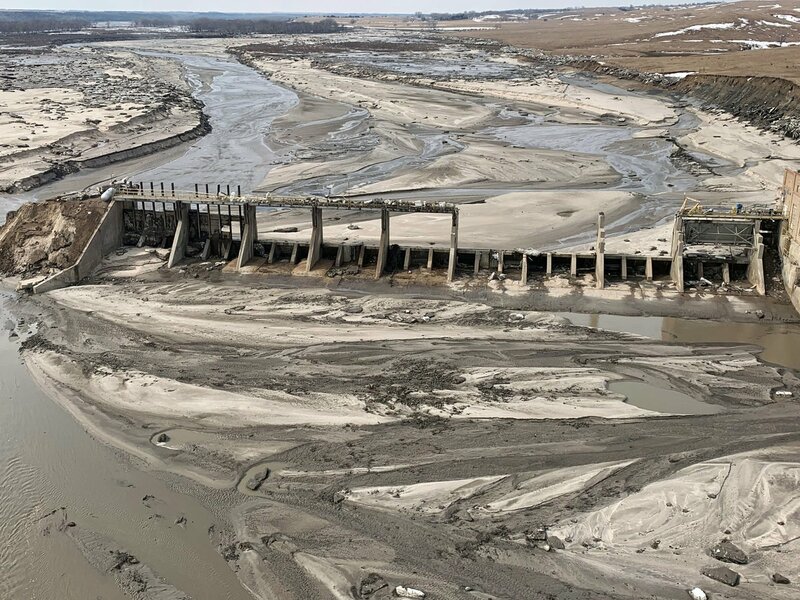 Of the 265 US power plants that monitor groundwater, 242 have reported unsafe levels of at least one pollutant derived from coal ash, which is the remnants of coal after it is burned for energy. More than half such facilities report unsafe levels of arsenic, a carcinogen linked to multiple types of cancer, with 60% finding elevated lithium, which is associated with neurological damage. In all, nine out of every 10 coal plants with reportable data have tainted nearby groundwater with at least one coal ash pollutant, with a majority having unsafe levels of at least four different toxins. The coal plants included in the analysis represent roughly three-quarters of all coal facilities in the US, with the remainder either having shut down their coal ash dumps or been exempted from reporting requirements. Washington — President Donald Trump's latest budget proposes a 5-percent reduction in non-defense spending, including a 90-percent cut for a popular Great Lakes cleanup programthat bipartisan Michigan lawmakers pledged to fight. In previous years, Congress, which controls spending levels, has restored full funding for the Great Lakes program. The White House budget merely reflects the priorities of the Trump administration. Six years ago, Hurricane Sandy slammed into New York City. The storm put 51 square miles of it under water. Seventeen thousand homes were damaged or destroyed. Forty-four New Yorkers lost their lives. We don’t debate global warming in New York City. Not anymore. The only question is where to build the barriers to protect us from rising seas and the inevitable next storm, and how fast we can build them. On Thursday, I am joining a group of climate scientists and local officials to announce we’re filling one of the biggest gaps in our coastal defenses. We’re going to protect Lower Manhattan, which includes the Financial District, home to a half-million jobs, 90,000 residents, and the nexus of almost all our subway lines. 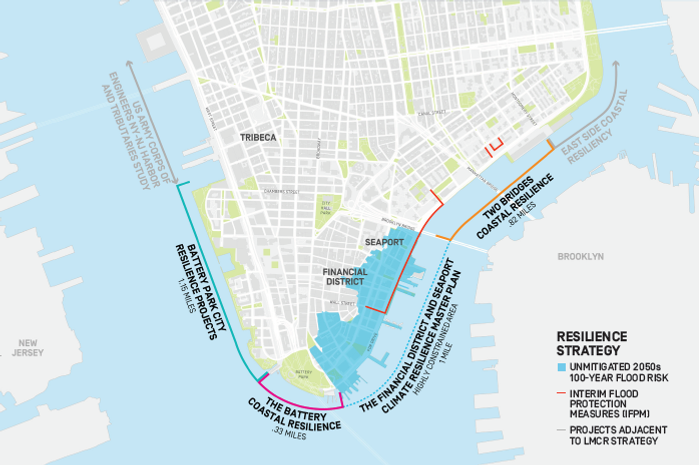 It will be one of the most complex environmental and engineering challenges our city has ever undertaken and it will, literally, alter the shape of the island of Manhattan. Earlier, the Niobrara had been running at 5 or 6 feet of gauge height. After it broke through the dam, it measured nearly 17.5 feet. It wasn’t a gradual increase, either. From the images it looks to me that there was a massive ice flow that built up behind the dam and created a huge lake. Water must have then spilled over and eroded the earth dam while the gates did crack under the weight of the ice.